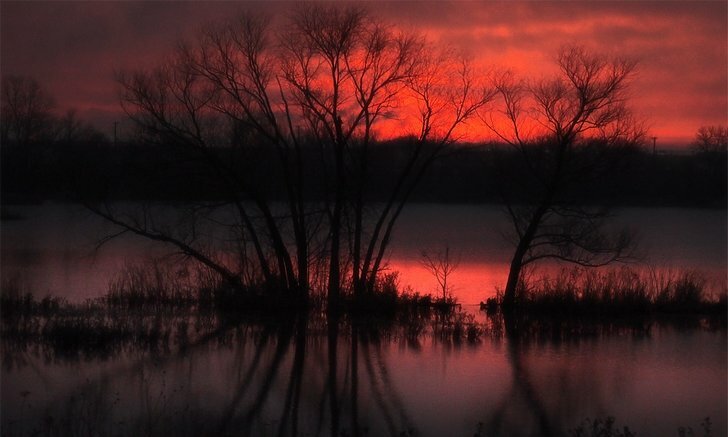 Jim Radclifee: I am an amateur photographer with no asperations of ever being a “Pro”. My interest in photography began while I was in my teens and that was a long time ago. Para Sempre is already permitted by Mr. Jim Radcliffe to post his photo and translate the text. The Leica D-Lux 3 is one of three compact cameras I own. I also own a Sigma DP1 and a Canon G9. I have been using DSLR’s since Canon introduced the D30 and I now use a Canon 5D but I wanted a camera I could carry with me all the time without having to carry a large camera bag, a bulky camera body and four or five lenses. I chose the D-Lux 3 because I desired a small camera with full manual controls and RAW capability. I also really like the 16:9 aspect ratio and I choose to shoot in that format almost all the time with the D-Lux 3. 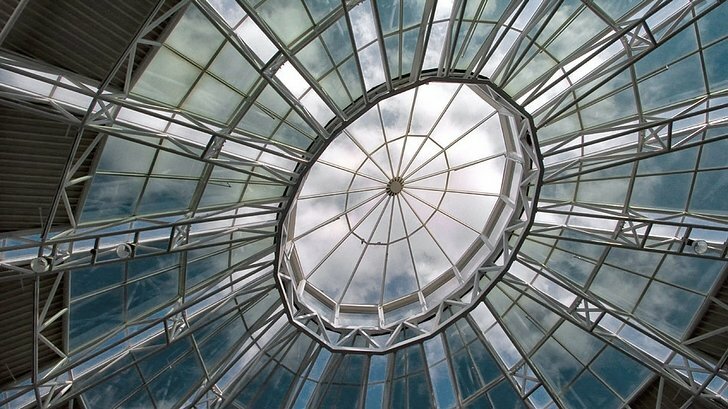 OOP074: Skylight. Leica D-Lux3. This was taken in the center court of a mall not far from my home. I liked the geometry and color. 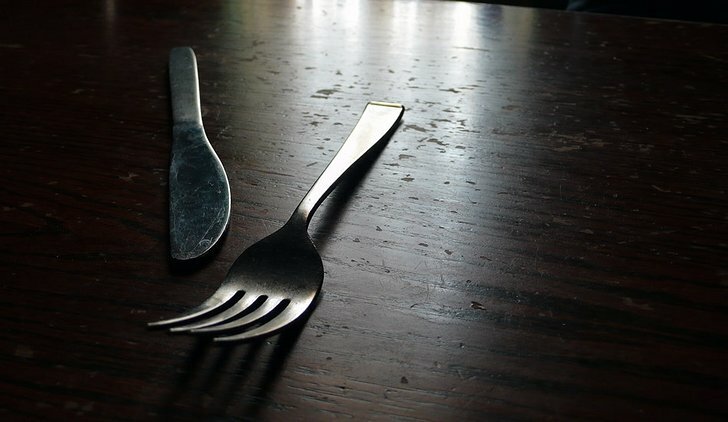 OOP075: Knife and Fork. Leica D-Lux3. What can I say? I just like the simplicity of this shot. The knife and fork lay on the table where the waitress placed them and the light from the window proved interesting. OOP076: Sunrise. Leica D-Lux3. 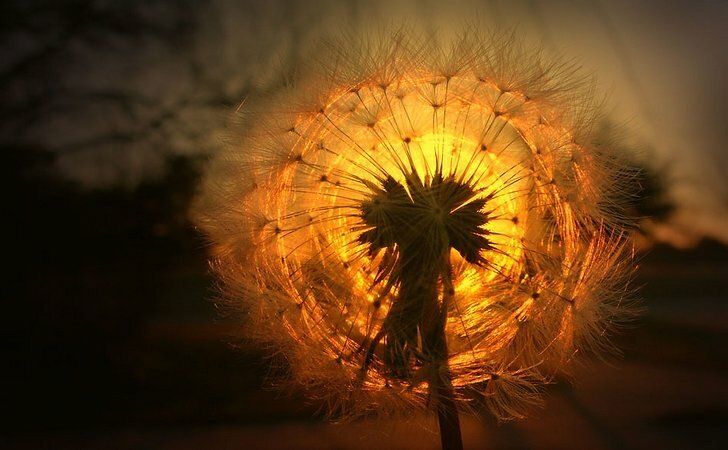 Through A Dandelion. More proof that Spring is on the way. The Dandelions are all over the place. This morning I decided to shoot the sunrise through one of them. It came out better than I expected. Can’t help myself. I love sunrise and try to watch it happen every day. 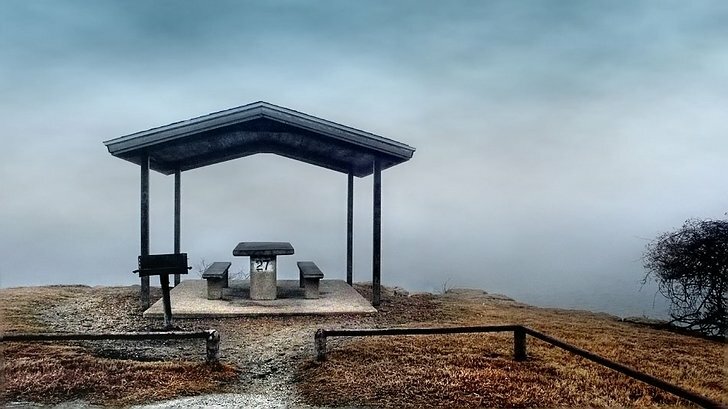 OOP077: No Picnic Today – Optical Illusion? Leica D-Lux3. Dallas rarely gets heavy fog, so when it happened I decided to go out and see what presented itself. 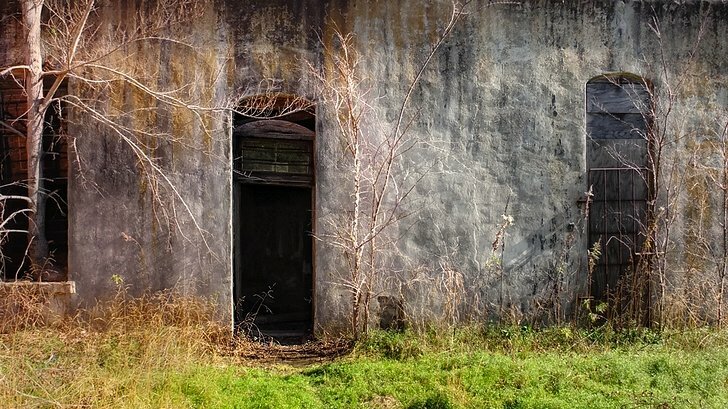 This lonesome picnic shed on Lake Grapevine proved to be an interesting and solitary subject. Normally you would see the lake and the far shore behind the shed. I found this view much more appealling. Optical Illusion: A friend pointed out that if you stare at the top of the shed the lake appears and disappears. It worked for me. Your mileage may vary. 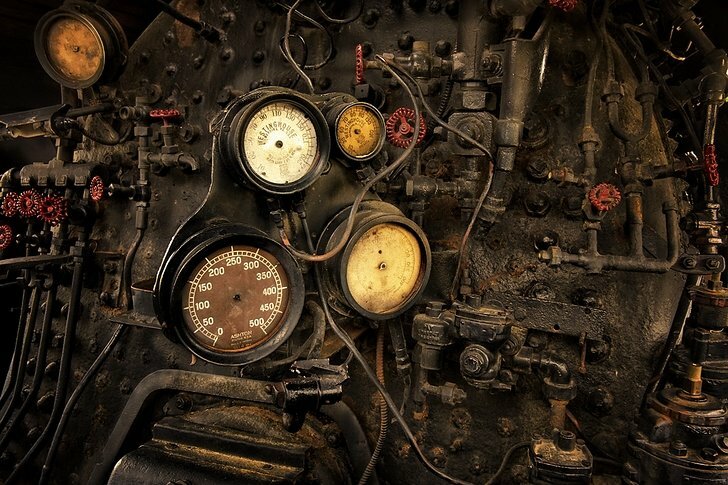 OOP079: Grapevine, Texas – Vintage Railroad. Leica D-Lux3. 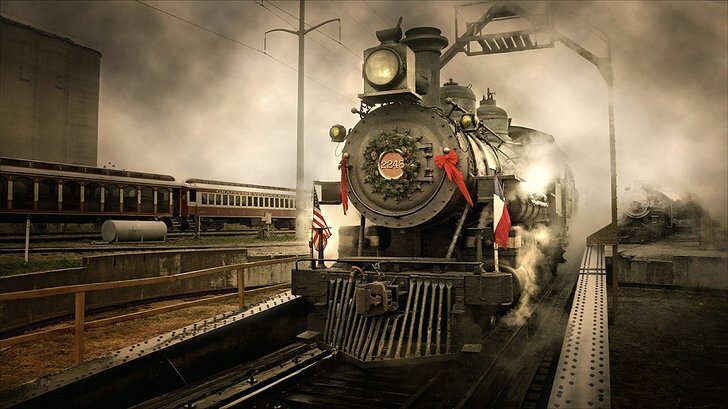 This is the old steam locomotive that runs between Grapevine and Fort Worth, Texas. This shot was taken on December 9, 2007. The weather was finally cold enough for the steam from the locomotive to be seen. This shot was taken with the sun behind the locomotive, further enhancing the steam as the train was being readied for The day’s run between Grapevine and Fort Worth. After using the D-Lux 4 since October of 2008 I can say in all honesty that of all the cameras I own, it is my favorite. It is compact, I can take it with me anywhere. It is quiet, even quieter than my M8. It produces wonderful images, not as good as the 5D or M8 but for its size the images are amazing. It is versatile, with zoom, macro, video and built in features to help photographers achieve the look they desire. It is not perfect, a larger sensor would be great, but perfection is not possible and for what it is, the Leica D-Lux 4 is one of the best compact cameras ever made. OOP080: Shades of Green. Leica D-Lux4. 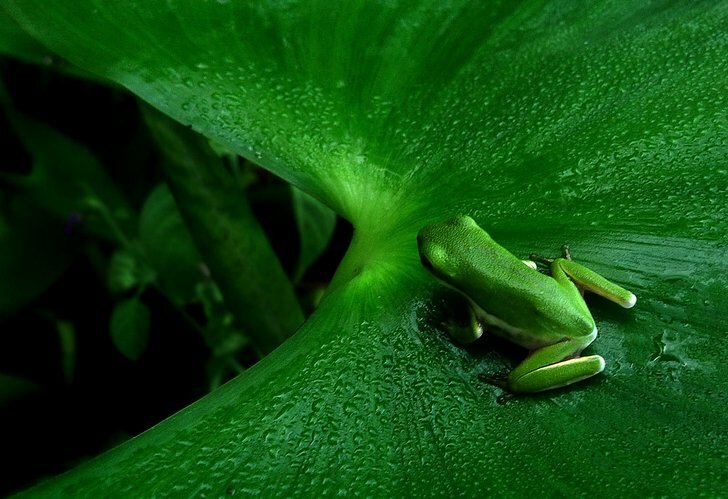 This little frog looked like he was eyeing the abyss before him trying to decide whether to jump or not. Taken with the D-Lux 4 in macro mode. Post work in Photoshop. 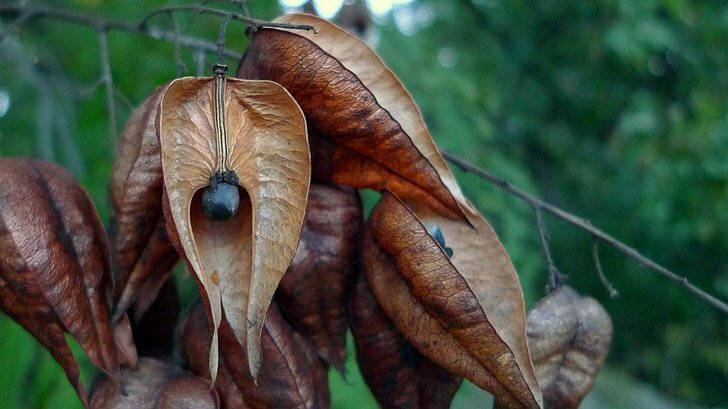 OOP081: Seed. Leica D-Lux4. I’ve shot these before but I like their architecture and color. 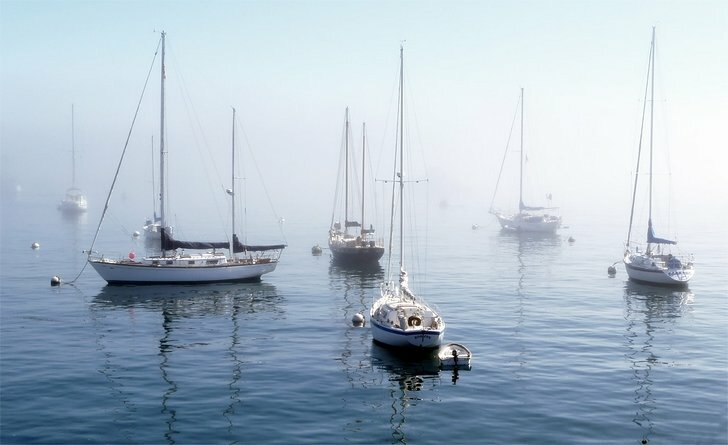 OOP082: Monterey Harbor. Leica D-Lux4. I’ve found a new place to retire. Pacific Grove, California. It’s just up the road a ways from where I shot this photo in the Monterey Harbor. It’s an absolutely beautiful little town at the tip of the Monterey Peninsula. The early morning fog in this shot made it almost pastel in nature. I enjoyed using the X1 very much. 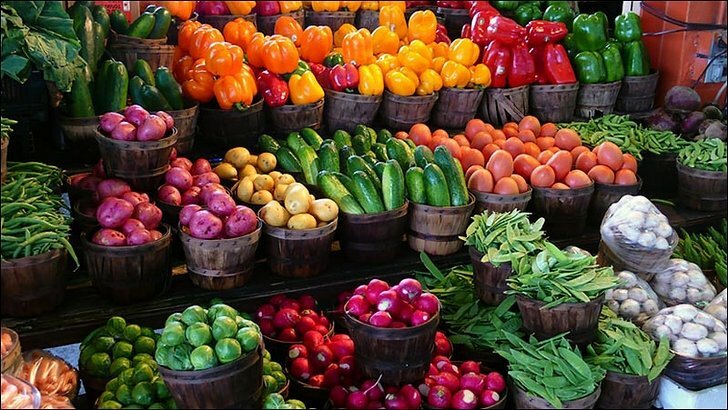 It produces great images and it will be the perfect camera for many. It’s not that I don’t like the X1, I do. It’s just not versatile enough for me. If you decide the X1 is the camera for you I am sure you will enjoy it and the rich Leica heritage that will accompany it, including that special pride of ownership so many Leica owners feel. I have owned a lot of cameras but I don’t believe I was ever in love with any of them. I enjoyed most of them but never felt love for any of them, until now. I can say it now: I love the Fuji X-Pro1. I had forgotten how much I enjoyed using manual controls and using an aperture ring. The X-Pro1 is the first camera I have owned in the last 10 years that truly has amazed me. I am amazed by the quality of the JPGs, I am amazed by the lenses and the sensor but most of all it is the enjoyment I receive from using the camera that amazes me the most. The Fuji X-Pro1 is not perfect. I wish the auto-focus were faster but that is a small thing compared to everything that is so right about the camera. I simply enjoy using it more than any camera I have owned and that says a lot. OOP086: Pigeon Point Light – Central Coast – California. FUJI X Pro1. 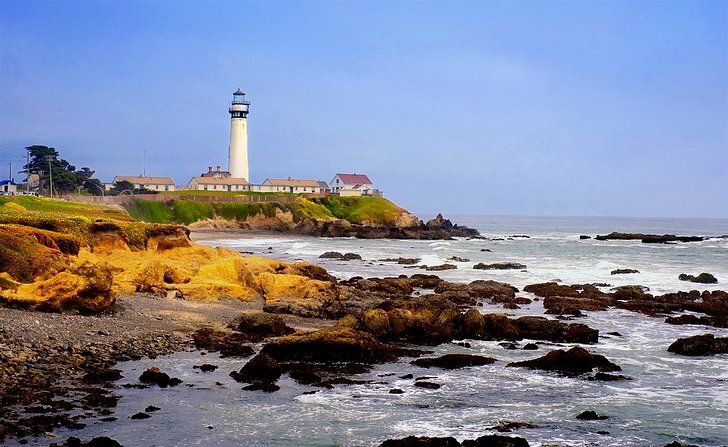 It is the tallest lighhouse on the Pacific Coast of the United States. It was built in 1871. Fuji X-Pro1 – 35mm 1/400s f/9.0 ISO 400. OOP087: Long Exposure Using a Variable Neutral Density Filter. 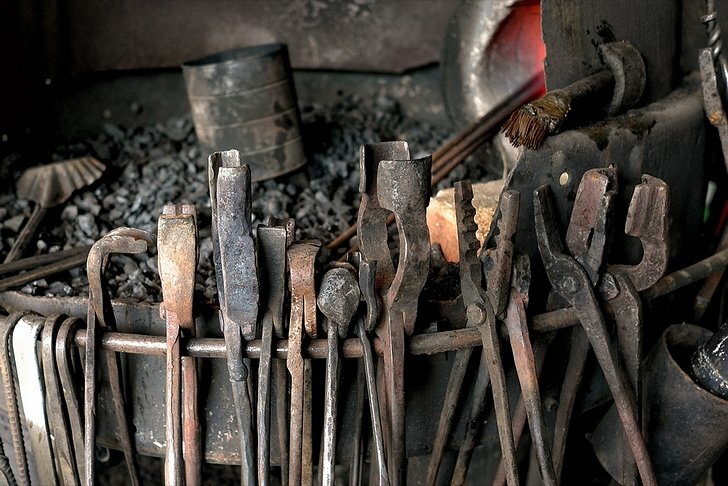 FUJI X Pro1. I’ve been wanting to try this for some time but never got around to buying a VND filter until now. That little orange spot on the rock in the center is a starfish. 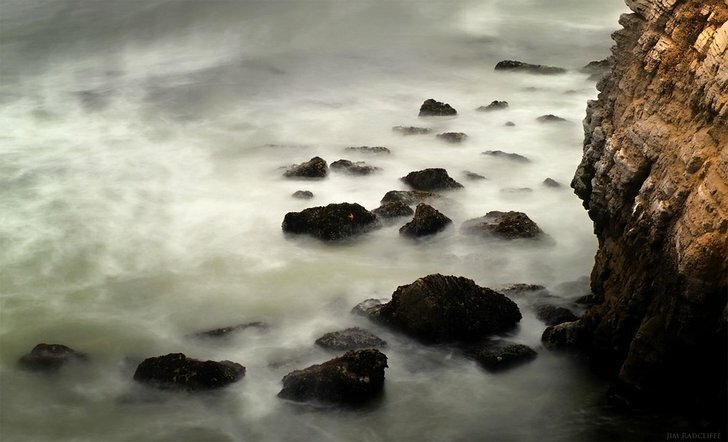 Fuji X-Pro1 – 35mm 5 second exposure f/16 ISO 200 with a 10 stop VND filter. 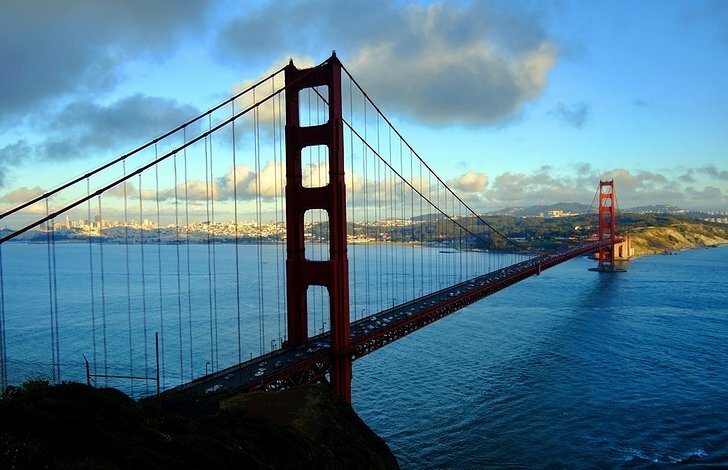 OOP088: Golden Gate Bridge – San Francisco, California. FUJI X Pro1. Yeah, it’s been shot millions of times but I never tire of climbing to the top of that hill overlooking the bridge and taking in the beauty of the bridge and San Francisco. Fuji X-Pro1 – 18mm 1/400s f/5.6 ISO 400. 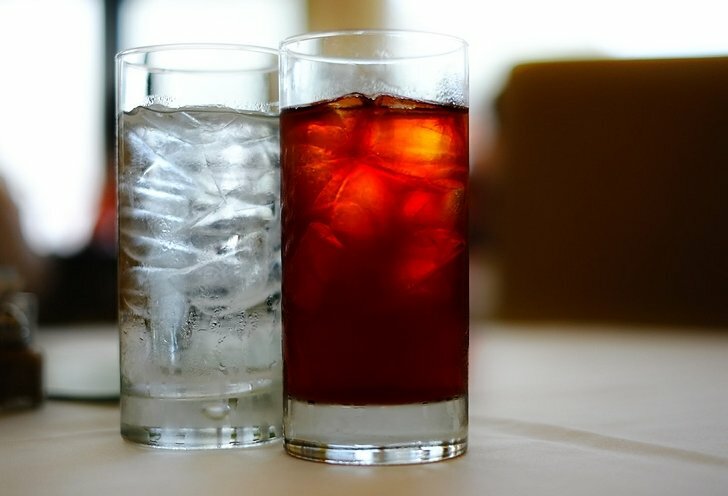 OOP089: Lunch – My Water & Iced Tea. FUJI X Pro1. 35mm f/1.4 ISO 400 1/1300s. 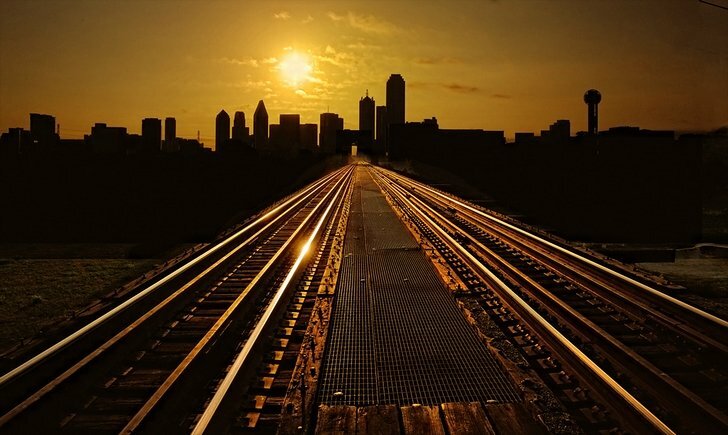 OOP090: Nion Pacific Railroad Tracks Leading Into Dallas. Fuji X-Pro1. 18mm 1/4000s f/11 ISO 250. This shot is a a compsit in which I exposed for the tracks and the sunrise. Post work in Photoshop CS5. 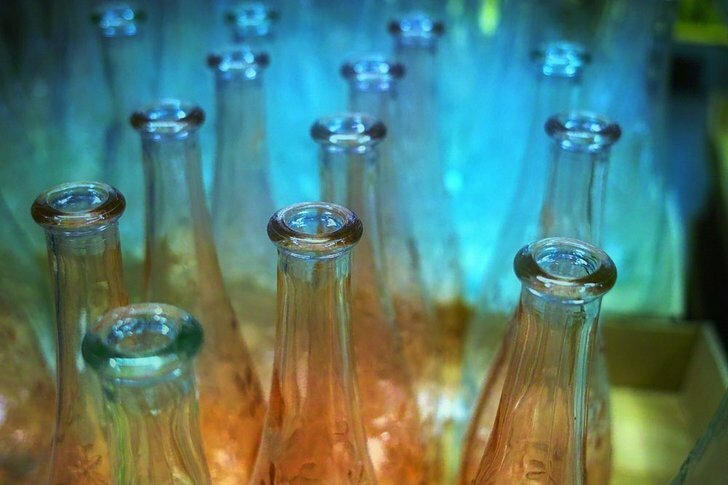 OOP091: Bottles. Fuji X-Pro1. 35mm f/1.4 ISO 250 1/52s. OOP092: Shooting Trains. FUJI X Pro1. Using the 35mm & 18mm. The DP2 is not a Point and Shoot camera for the masses. 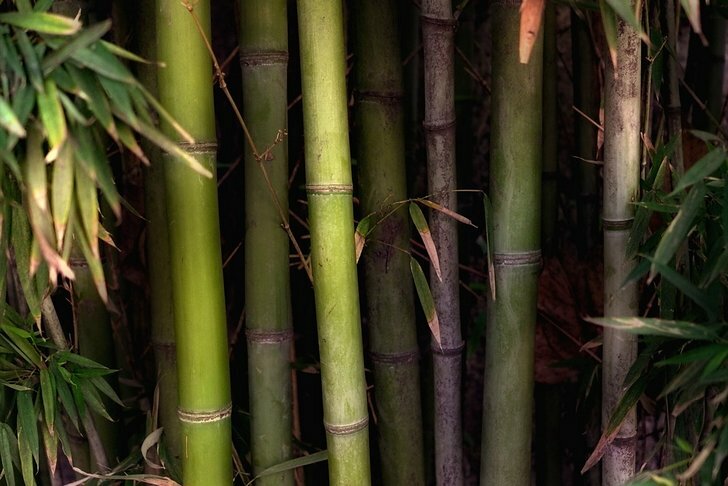 To get the most from it you must understand the basics of photography. It is improved over the DP1 and the images seem to look better to me even though it is the same sensor used in the DP1. It can only be the new lens and True II working together that causes me to feel this way. 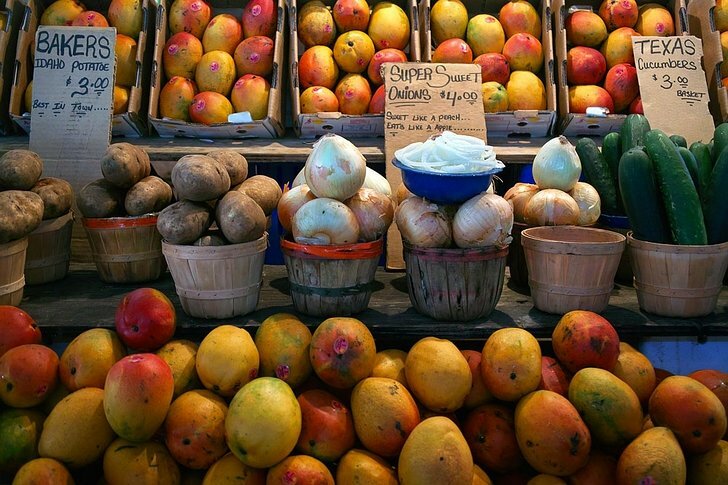 OOP093: Farmers Market. Sigma DP2. 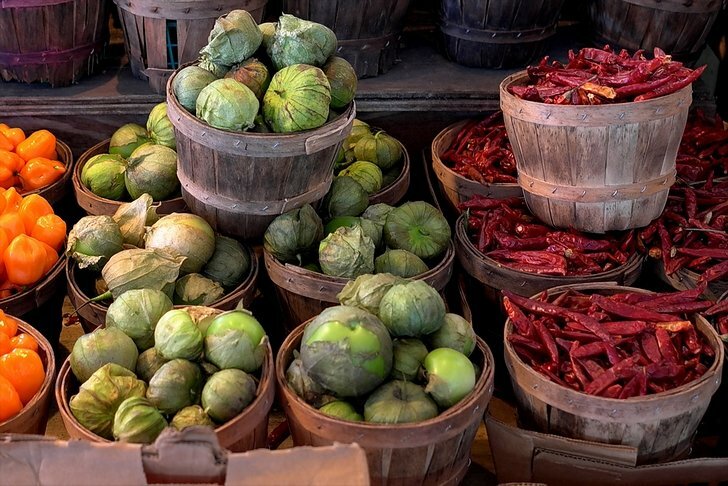 Taken at the Farmers Market in Dallas with the DP2. 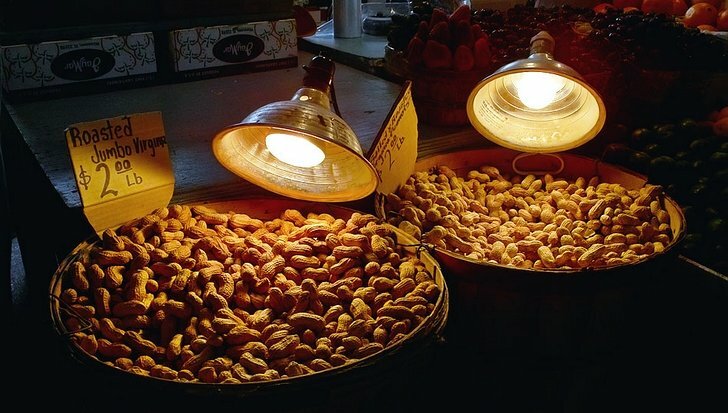 OOP094: See How They Glow. Sigma DP2. 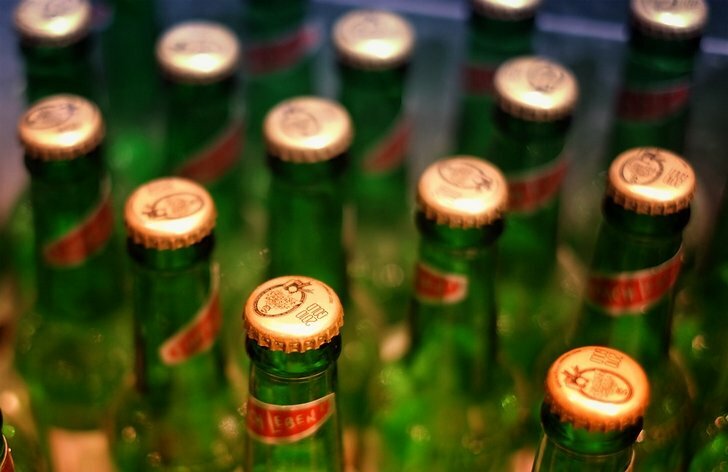 Bottles for sale. Is the DP1 perfect? No, it’s not, but it is ground breaking and at the moment, one of a kind. I am very impressed. I would not consider this an entry level camera. I do not believe it was designed for beginners and it should NOT be considered a consumer grade point and shoot. It’s in a class by itself. The images are wonderful. The dynamic range is great and the quality you get out of the DP1 is probably matched only by a DSLR. 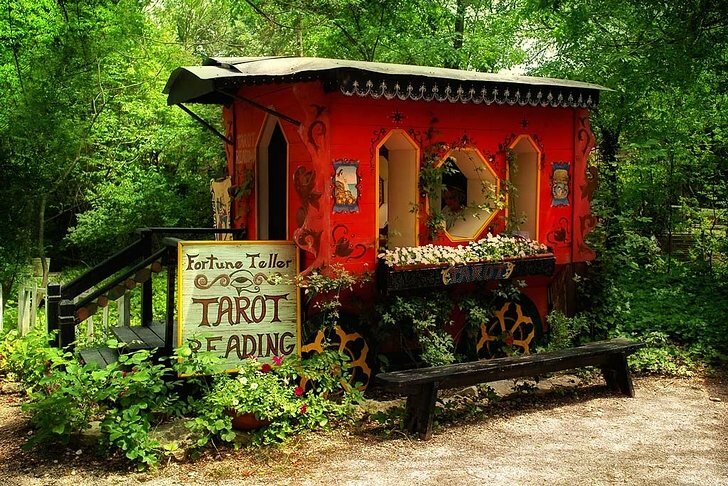 OOP095: The Fortune Teller. Sigma DP1. I just like the way these colors mingled. And the absence of people was also pleasing. 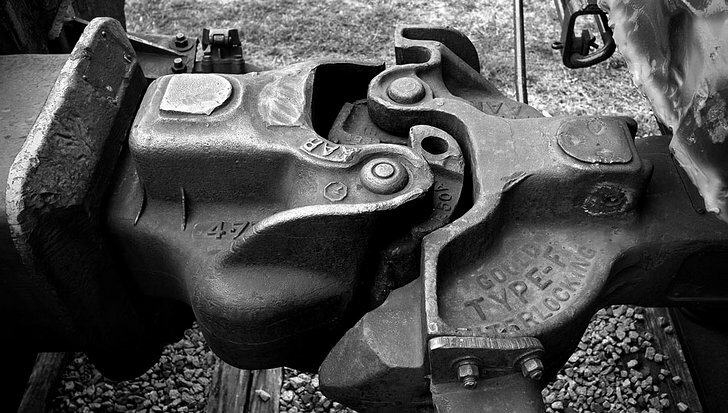 OOP097: Grapevine, Texas – Vintage Railroad.Sigma DP1. All in all the GF1 has proven itself to be a great camera and allowed me much enjoyment and captured some great photos. I had hoped the GF2 would be a much improved model of the GF1 but instead it seems to be a dumbed down version of the GF1 aimed primarily at the home market of point and shooters. OOP100: The Last Sunrise of 2009 Panasonic GF1. (45mm Version). 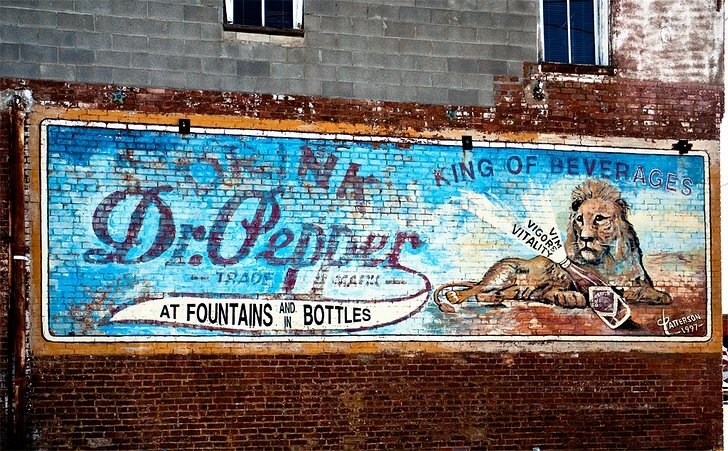 OOP101: Dr. Pepper Sign – Van Alstyne, Texas. Panasonic GF1. 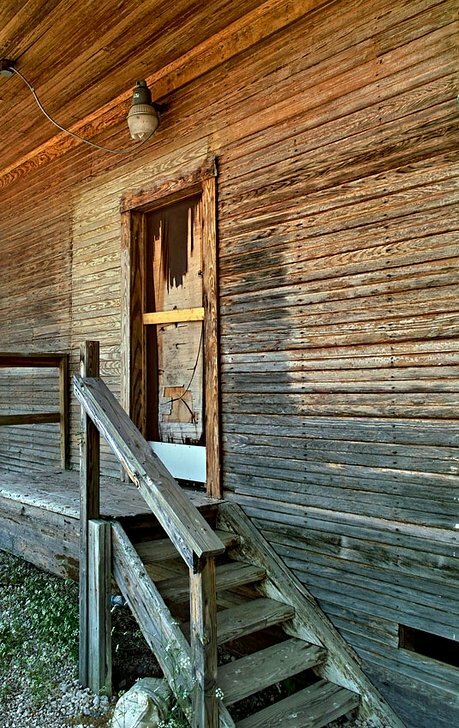 Taken in the small Texas town of Van Alstyne. GF1 and the 7-14mm. OOP102: End of the Line for The Point Reyes. Panasonic GF1. 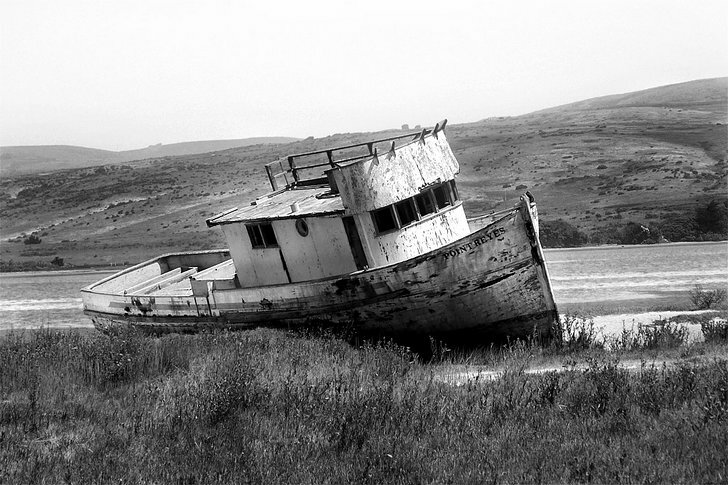 Abandoned and bearing the name Point Reyes. I thought I would pay homage with a photo. She must have been a fine boat at some point in time. 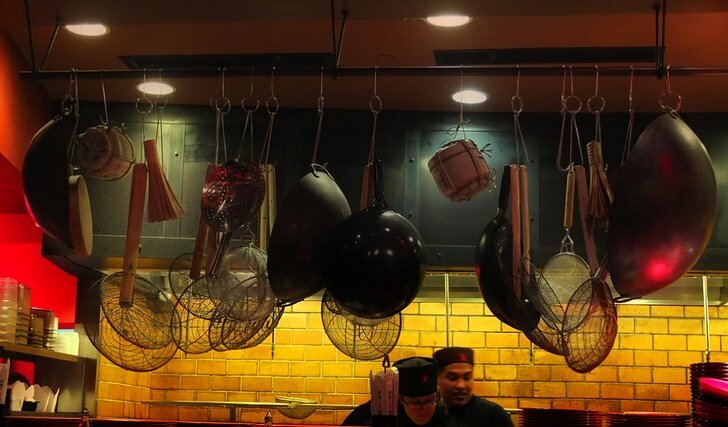 OOP103: Hot Stuff! Panasonic GF1. 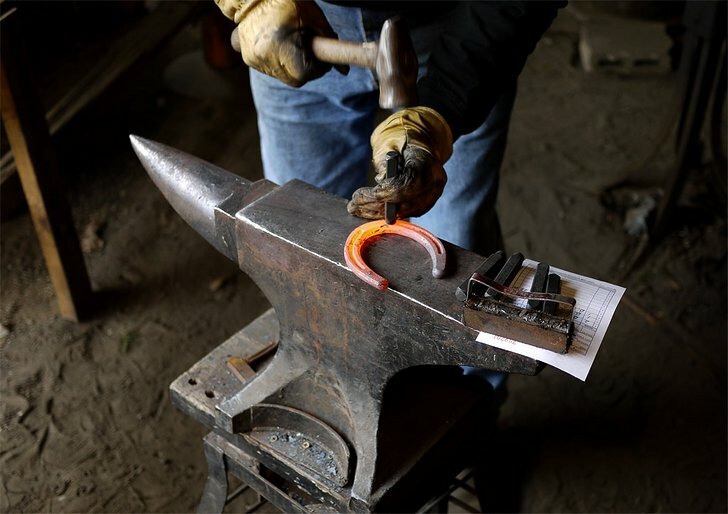 The blacksmith had just taken the horshoe out of the fire and was putting a kid’s name on it. Note the blurred background here. 20mm f/1.7 wide open. 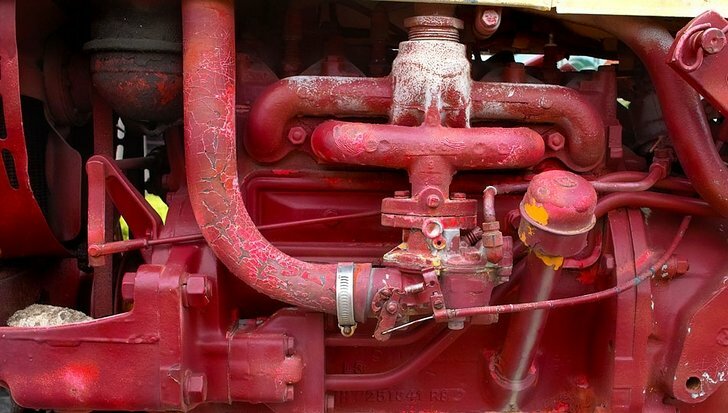 OOP104: The Firetruck. Panasonic GF1. 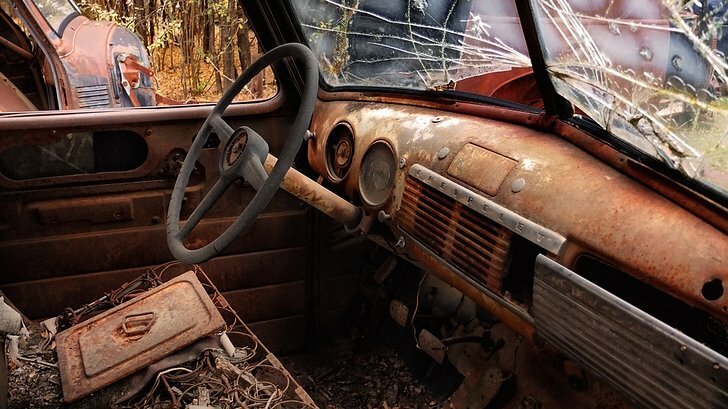 One of the few old vehicles that is somewhat protected from the elements. GF1 7-14mm. 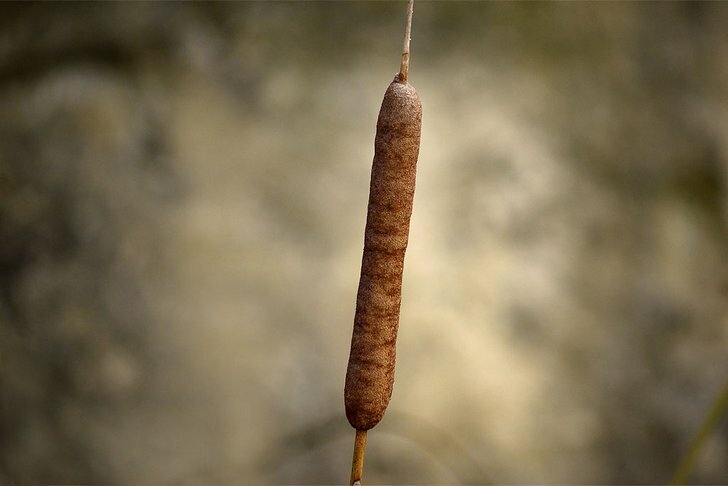 OOP105: Isolated Cattail. Panasonic GF1. I really like the bokeh of the 45-200. This is perfect isolation of the subject from a rather cluttered background. 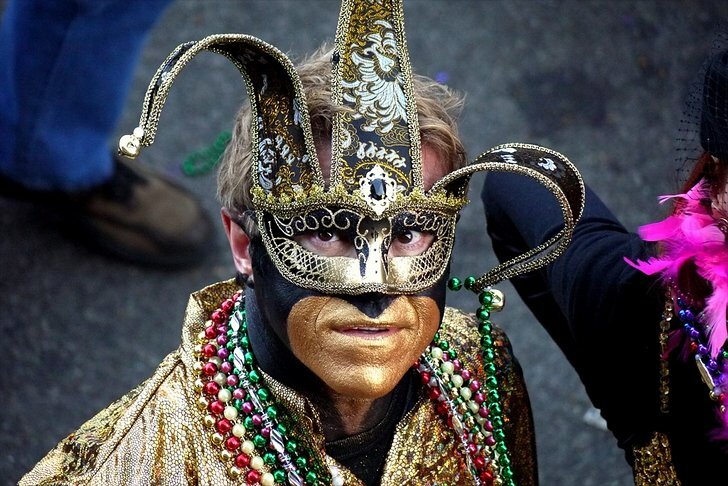 OOP106: Mardi Gras – New Orleans 2010. Panasonic GF1 45-200mm. I was so disappointed by Panasonic’s GX1 that buying the Fuji X10 was somewhat of a no-brainer. It’s quite obvious that Fuji, unlike Panasonic, has been listening to their customers and produced a compact camera a that ticks a lot of check boxes for those who want a “rangefinder style” compact camera rather than a Mini-DSLR type camera. They gave it a fast lens, an optical viewfinder, manual controls and a retro look that is sure to appeal to many. 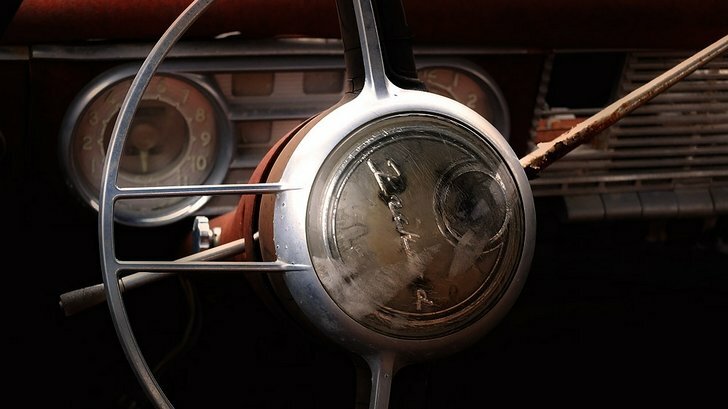 OOP107: Steering Wheel – What’s Left Of It. Fuji X10. Post work in Photoshop CS5. 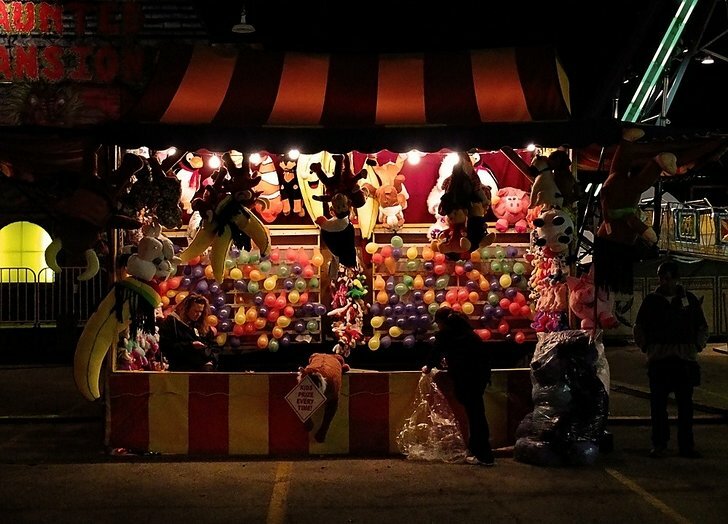 OOP108: Slow Night at the Carnival. Fuji X10. The Fort Worth Stock Show & Rodeo is underway and while the performances are going on the carnival midway is pretty much a ghost town. Not many people around except me and the people manning the booths. Taken with the X10 ISO 1600 f/2.5 1/320s. Shot as a JPG. OOP109: Neches, Texas. Fuji X10 f/4.0 ISO 200 1/680s. 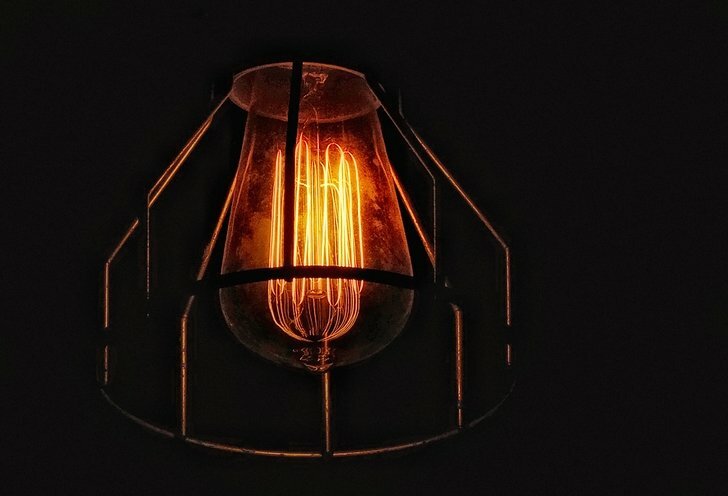 OOP110: Let There Be Light. Fuji X10. Every now and then I find intereting things to shoot while wandering through stores. This is not an old light but a new, retro light bulb I spied in a store in the Dallas Galleria. I really liked the filaments and the glow of this light. I was happy the X10 was able to capture the things I liked about it. X10 ISO 125 f/2.8 at 1/640s – standard (NON-EXR) shot at 12MP. 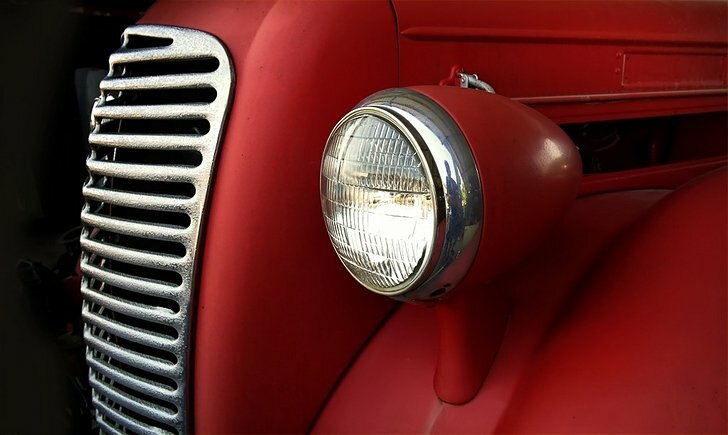 OOP111: Rust Bucket – Chevy Truck. Fuji X10. When I can get a shot like this from a small sensor camera like the X10, I’ve just got to love it. Post work in Photoshop CS5. 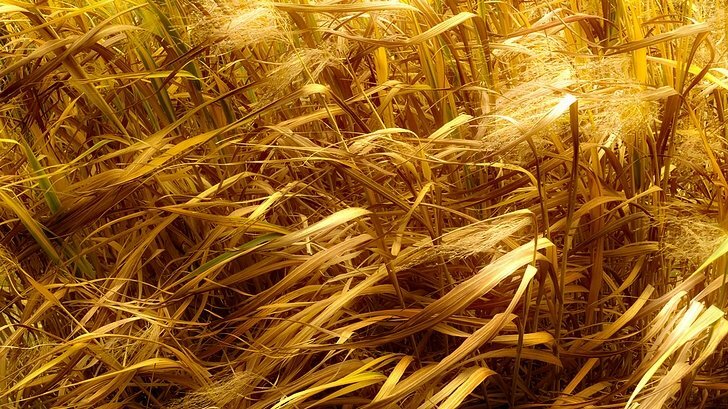 OOP113: Field Grass & Wind – Golden Hour. Fuji X10. The title pretty much says it all. Later afternoon sun with the wind blowing through grass and plants in a field. Post work in Photoshop CS5.